When you improve your email copywriting skills, you gain access to a whole new tool set. Sure, email marketing can work even if you’re a lousy copywriter, but I wouldn’t want to take that chance. You can either hire a copywriter to handle your email campaigns or you can learn email copywriting skills yourself. Either way, you need to know the basics so you can recognize good and bad examples of the form. Email copywriting is the actual copy — the words — in your email subject lines and body content. It’s how you express an idea to convince prospective customers to convert. The best email copywriting convinces the reader to not only consume the entire email, but to engage with it. In most cases, that means clicking a link in the email — your CTA — and arriving at your desired page to convert on an offer. When you write email copy, you must start with a specific goal. What do you want your subscribers to do after opening and reading the email? Maybe you’re promoting a flash sale, launching a product, driving traffic to your latest blog posts, or inspiring subscribers to submit user-generated content. Whatever the case, every word in your email should drive subscribers toward fulfilling your goal. For instance, if you want them to buy your newest product, focus on touting its benefits for the reader. What problem can it solve? How can it help them achieve their goals? Most importantly, why should they act right now? Don’t worry, we’re going to get into the nuts and bolts of this process in a minute. First, though, I need you to understand how powerful email marketing can be. Every single day, 270 billion emails fly from outbox to inbox. That’s a ton of communication. You probably know that millions of those emails are meant for marketing purposes. If I just glance in the Promotions category of my Gmail account, I find several from just the last 24 hours — many unsolicited. Nevertheless, email marketing works. In most cases, its success depends on email copywriting. Think about it. When you open your Gmail account — or whatever email client you use — the first thing you see is a list of addresses and subject lines. Either you open the emails or you delete them. If a subject line offers sufficient intrigue to convince you to click, you’ll open. If the body copy grabs your attention, you’ll read. And if the CTA offers enough incentive, you’ll click. That’s why you need to know email copywriting. Here are a few other good reasons. One study shows that for every $1 you spend on email marketing, you’ll generate $44 in revenue. If you want to get the most bang for your buck in terms of marketing, I’d start sharpening your email copywriting skills and use email marketing to boost conversions. A poor subject line earns your email an unceremonial trip to the digital trash bin. People are simply too busy and too overstimulated to waste time on something that doesn’t interest them. However, you can’t just write a subject line based on a formula. You need to know what stimulates your specific audience. It’s true that email marketing benefits businesses, but only when it benefits consumers, as well. Instead of using your emails to sell to your subscribers, use them to give your subscribers something of value. It could be information, inspiration, discounts, freebies, or anything else you can think of. When you finish writing an email, read it carefully. Will your subscribers find themselves in a better place for having read it? Most consumers are used to reading email by now. It’s practically a reflex. However, that doesn’t mean you can rest on your laurels. 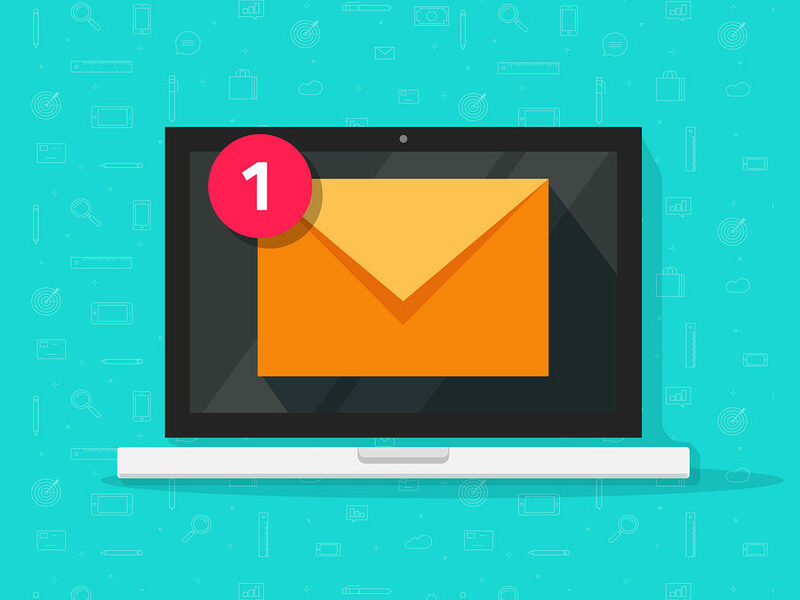 Focus on using email to communicate effectively with your subscribers. Think of it as a conversation you’re having with a good friend. Add nuance, emotion, and detail. Think of it as an insider club. Only subscribers get to read what you share. That exclusivity can make your email copywriting even more effective. Some business owners view their subscriber list as their most valuable asset. It’s a way to enter the lives and homes of their target audience and convince them to convert. When you’re a skilled email copywriter, you can profit from every email you send, whether you’re educating your audience or announcing a product launch. It’s all about building trust from the beginning and making good use of your subscribers’ time. Pro Tip: After you write an email for your subscribers, let it sit for 24 hours. Then go back and read it. You’ll come to the email with fresh eyes, which will allow you to be more critical of your own work. Plus, you’ll be more likely to spot those insidious grammar and spelling mistakes that slip into even the best copywriters’ work. Email copywriting is directly linked to conversions. In other words, you don’t just want your subscribers to read your emails — though that’s a great first step. You want them to act on your emails. That’s why you include a CTA in every email. The call to action tells your reader what to do next. But we’ll get into that more later. Your emails need to represent your brand in the best possible light. Rewrite and revise each email until it says exactly what you want it to communicate — nothing more, nothing less. Will every single subscriber open and convert on your email? No. That’s not the case for any business owner I know. However, you can increase your conversion rates for your emails by following these email copywriting tips and tricks. Nobody likes a marketing automaton. Show you understand how your subscribers feel. Hitting pain points is a great way to do this. Maybe you sell insurance products. If you’re writing about life insurance policies for children, you have to show you understand your potential audience. What do they fear? What bothers them? Demonstrate your empathy for your audience and hit the pain point. You can form a relationship with your subscribers by showing that you not only understand them, but that you also empathize with their plight. Benefits over features. Repeat that five times before you start the email copywriting process. Features are boring. They’re like the specs in a technical manual. Your eyes glaze over just thinking about them. Benefits, though, are marketing gold. Help your customer understand how they will feel when they receive your product in the mail. You can set the stage by hitting a pain point, then toss in a benefit or two to seal the deal. Emails shouldn’t go on forever — especially in the beginning. Get to the point as quickly as possible, tack on your CTA, and hit SEND. If possible, you don’t want your subscriber to have to scroll if they’re reading your email on a desktop or laptop computer. Make reading your emails effortless. Similarly, you want each paragraph to be short and sweet. Check out the partial email above. Notice that only one paragraph exceeds a single line. Short paragraphs — even those that contain just one sentence — keep the reader moving. It’s like creating a fast lane for your email copywriting. The second-person point of view means talking to your subscribers as though they were right in front of you. Instead of saying he and she, you talk to the person directly. Kind of like I’m talking to you in this article. The email focuses on you. Not he or she. Let’s be clear here. There’s such a thing as too much information. Your email subscribers don’t need to hear about your two-year-old’s potty training foibles. Unless you’re selling something that helps with potty training. They don’t need to hear about the grime you found behind your toilet the last time you cleaned your bathroom. Unless you’re selling cleaning supplies. Feel free to tell personal anecdotes and share relatable stories, but only get deeply personal if it’s related to what you’re selling. If possible, share happy stories. Everyone likes a happy story. Email clients allow you to personalize your emails significantly. You can use your customers’ names, their companies’ names, and more. With just a little bit of code, you can send a mass email that looks like a personal email. Just don’t go overboard. Use the subscriber’s name once or twice (such as in the subject line and the greeting) and the company name once or twice (for B2B marketing). Other than that, focus on the story you’re telling, the product you’re selling, or the incentive you’re providing. A great way to collect emails is to create a top bar on your website with Hello Bar. Encourage your existing website visitors to sign up for your email list. You’ll likely want to use a lead magnet or some sort of incentive to convince people to sign up. If you do that, though, you have to follow through. If you add a Hello Bar like this to your website, you need to be prepared to send a coupon every single month. Otherwise, you’ll break your promise and irritate your subscribers. A single mom with two jobs and no savings in the bank wants something different from a married, retirement-age man with $2 million in investments. That’s obvious, right? You have to know your audience if you want your email copywriting to resonate. Use Hello Bar’s A/B testing to figure out what your target audience wants out of your email marketing campaign. Test different lead magnets, offers, and CTAs. You can also use other data you’ve collected from your audience. Polls and surveys work extremely well, too. You get the idea. Use your thesaurus to find the word that sums up what you want to say exactly. That’s the essence of good email copywriting. You don’t need letters after your name to use psychology in email copywriting. Knowing just a few principles can help you succeed. Consider reciprocity, for instance. If you do something nice for others, they’ll want to do something nice for you. Let’s say that you sell an app or a piece of software. Offer a free trial with no credit card required. Alternatively, let’s say that you’re reaching out to existing trial users. Offer to extend the trial so the consumer can have more time with the program. Some of my favorite marketing emails come from people who share their own experiences. Most importantly, they’re not afraid to share their fears, failures, and frustrations. Brian Gardner is one example. He’s best known for WordPress development, but he has his hands in tons of creative projects. When he sends out an email, it’s invariably raw and honest. Consequently, when he recommends a premium WordPress plugin or announces a new product, I trust that he’s giving me the full story. If you let your readers get to know you, they’ll become more trusting and loyal. It just takes time. Stories engage the senses, trigger emotions, and help readers connect to you. Why not tell a story? It could be a personal anecdote, a conversation you had with one of your team members, or a recent customer interaction. Alternatively, you could set up a fictional story to illustrate a point. Humans have used storytelling since the dawn of time to communicate and relate to one another. We love stories because we see ourselves in them, so we better understand where the other person is coming from. Just as we recommend A/B testing your top bars and exit popups in Hello Bar, we also recommend A/B testing your emails. Send one email to half your subscribers and a second to the other half. Change just one variable. If you conduct enough A/B tests, patterns will start to emerge. You’ll figure out what language, imagery, and CTAs your subscribers prefer so you can optimize future emails. Opening and reading an email doesn’t cost your subscribers anything. We can’t get back the time we spend reading emails, sitting in traffic, or washing the car. But we can get rewarded for it. When a subscriber reads your email, try to end with a reward. Offer a discount. Provide a nugget of advice. Make the reader feel like he or she is better off for giving you his or her time. I can’t stress this enough. If your reader doesn’t understand what you’re saying, your email becomes worthless. Speak in clear, concise sentences. If you use industry jargon, explain it. If you make an offer, describe all the details. You don’t have to be boring, but if you can find a simpler word than the one you’ve used, consider swapping it out. Speaking of words, always write in the active voice. In other words, use language that encourages your reader to take action. Shoot us an email to let us know how we’re doing! Which one is clearer and more action-oriented? The second one, right? If you want your subscribers to do something, ask them. But be specific and use strong verbs to do it. That sounds a little touchy-feely, doesn’t it? Yet it works with some brands. In the lifestyle industry, for instance, lovable language can work wonders. Spread love, light, and good vibes whenever you can. If you’re not sure how to do this, scroll through Instagram. View some of the images and captions from your favorite brands to get an idea for how to do this effectively. Think of your CTA as your final masterpiece in any email. It’s where you invite your readers to interact with your brand. The CTA should be consistent with the tone and content of the rest of the email. It should also be too tasty to pass up. Focus on honing in on what your readers expect from you and on what they want most. Are they interested in coupons? Give them $5 off their next purchase. Do they want information? Direct them to your latest blog post. Use Code 15OFF to take 15 percent off your next purchase! Want Free Stuff? Use Code FREEBIE to get a free gift just from us with your next purchase! Email copywriting isn’t always a gift. Some people are naturally more adept at it, but you can learn it just like any other skill. Maybe you’re not a fantastic writer. That’s okay. If you follow my 19 email copywriting tips, you’ll find yourself in a better position to succeed. Think like a consumer as well as a marketer. If you were receiving an email from your company, what would you want it to say? More importantly, what would you want to take away from it? Be as relatable as possible. Pretend you’re talking to a friend. When you discuss products, present the potential benefits to your target audience. Don’t drone on about features and specs. Keep it brief — at least in the beginning. Older subscribers can withstand longer emails, but you don’t want to scare them off right away. And don’t be afraid to get personal. Share anecdotes, stories, and details about your life. A behind-the-scenes look can work, too. Shorten your paragraphs, choose your words wisely, and consider the psychological principles behind your email copywriting.Use actionable language to encourage conversions, and make your CTA as compelling as possible. Try not to let all this information intimidate you, though. You’ll be fine as long as you focus on providing value. Do you have any email copywriting tips to share with the class?